What if your refrigerator could be “speak” to you in such a way that makes your life a little easier in the everyday? Designed by Fabian Kreuzer and Markus Lorenz Schilling that refrigerator is beyond any imagination and its features technology is extremely impressive! As you will notice from the video follows below the refrigerator has a specially designed screen that is able to inform you about the products you have in the fridge, what is missing,which are close to their expiration date and then you can get financially your favorite ingredients. 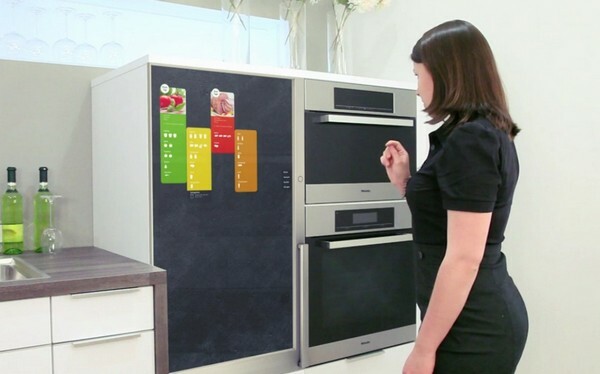 The most amazing feature is the screen, and by extension the fact that you can select,by touching the screen, the food you are cooking and then the fridge will inform you about the availability of materials or not within it, so you never again problem with some food! Impressive isn’t it? And if you heard the unbelievable Fabian Kreuzer and Markus Lorenz Schilling have created a prototype model which I explained that you can see in the video below!